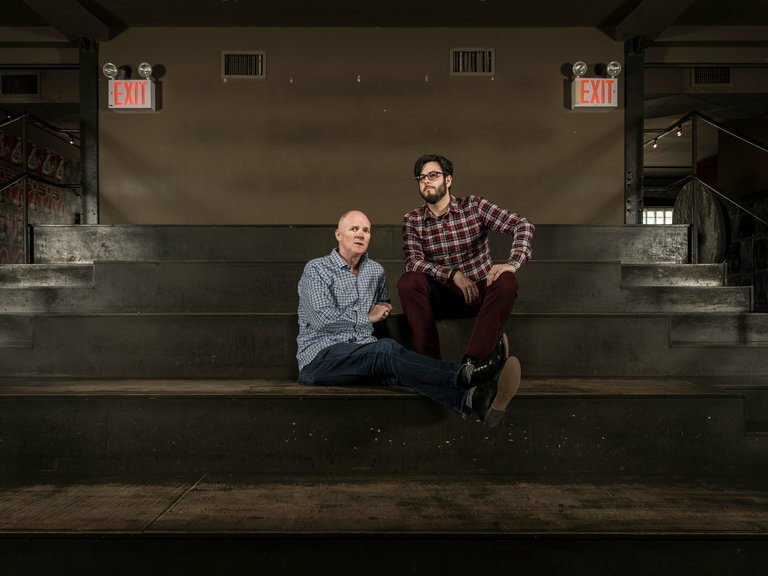 Jim Glancy and John Moore of the Bowery Presents have announced they will be parting ways with two clubs, the Mercury Lounge and Bowery Ballroom. When the New York concert promoter the Bowery Presents was sold this year to AEG, the sports and entertainment giant, a question hung over the deal: Would the Bowery Presents end up losing its connection to the Bowery Ballroom, the company’s namesake and one of the most beloved venues in the country? That is indeed what has happened, as the Bowery Presents announced on Wednesday that it would be “parting ways” at the end of the year with the Bowery Ballroom and the Mercury Lounge, two downtown clubs that are favorites of musicians and fans but were tangled up in a rift among the partners who started the company more than a decade ago. The Bowery Ballroom and the Mercury Lounge are controlled by Michael Swier, who in 2004 helped start the Bowery Presents — now a far-reaching promoter throughout New York and the East Coast — and later left the company. Mr. Swier and his former partners, John Moore and Jim Glancy, maintained a business relationship that kept the two clubs linked with the Bowery Presents through booking and marketing, but that deal has now been dissolved. What becomes of the clubs may have less to do with the night life of the Lower East Side than the business plans of two entertainment conglomerates in Los Angeles: AEG and its archrival, Live Nation. Last year, Live Nation acquired the Governors Ball festival, and AEG entered the same market with its Panorama festival; talent agents and other industry observers say that the two companies are still locked in intense competition over the New York market, with little room left for independents.